Being able to print boarding passes at home or at the office has made the airline check-in process a lot more convenient and less stressful for travelers. By shifting the printing and paper cost to the consumer, it also enables airlines to reduce costs. It has been one of the few “win-win” situations with airline travel. Recently, AA introduced an improvement which we had a chance to try out on our trip back to Boston. It is an option available to tech-savvy travelers and may make the boarding process even better. How? 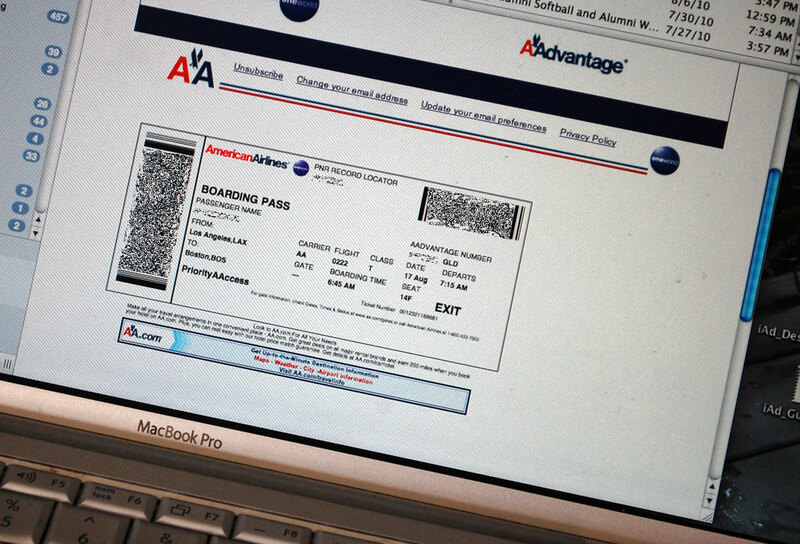 By eliminating the printing of boarding passes altogether. 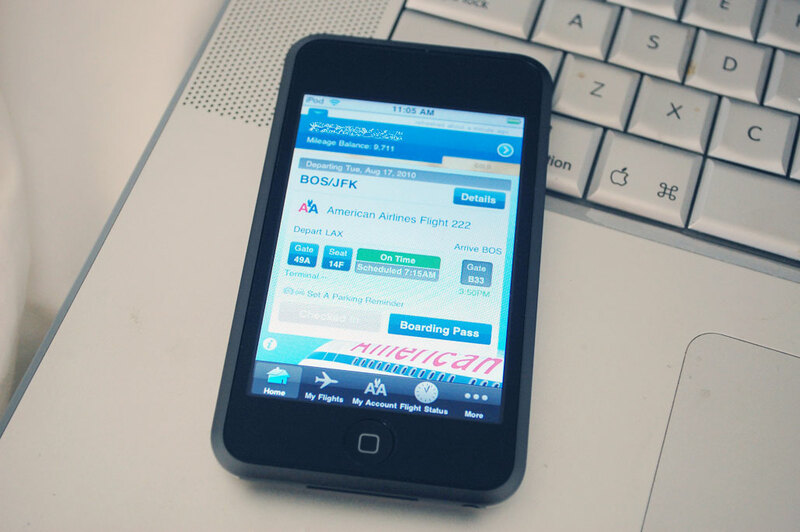 For those with an iPhone or an iPod Touch, AA has released a free app which enables a passenger to download a boarding pass directly to an iPhone/iPod. The boarding pass is in the form of a 2D bar code which can be scanned at the airport. To get the 2D boarding pass, one needs to have an AAdvantage account. We used our iPod Touch to test out the service and can report that everything worked smoothly and perfectly. The process was logical and the interface very well thought out. 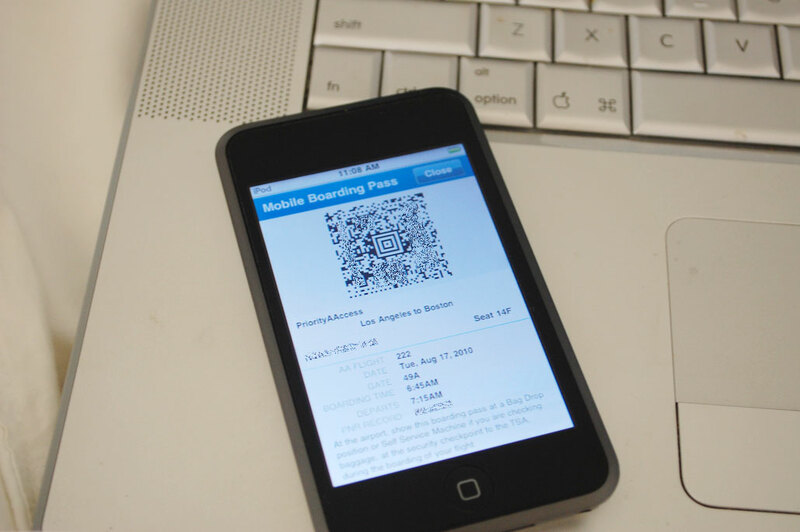 Once logged in, we were able to check in and obtain our 2D bar code/boarding pass in just a few taps. Some may be thinking…what if there was no Internet access or WiFi connection? How can one log in and bring up the electronic boarding pass? The boarding pass is stored on the device so no Internet connection is required. What is required is the AAvantage account number and password to get into the iPhone app. Once inside the app, tapping “More…” in the tab bar brings up a list that has Boarding Pass as a choice. We arrived at LAX at 5:30 AM and the security line was already snaked around the entire ground floor of the AA terminal. While trying to find the end of the line in that mass of humanity, an AA rep came up to us, took a look at our paper boarding passes and said…”I’m heading down this way, why don’t you follow me.” She took us to an up-escalator, which was flanked by two very large individuals, and said to them…”They are good.” At the top of the escalator was a security check point with maybe half a dozen other people. Well, that just saved us an hour of aggravation! We thought about showing the electronic boarding passes, but didn’t want to push our luck. We did not want to pass on the opportunity to see the electronic boarding pass approval process in action. When it came time to board the aircraft, we presented our electronic boarding passes. We are happy to report that the process worked flawlessly. Granted, none of these problems would happen frequently. However, when people depend on their mobile devices for more and more functions (payment, identification, delivery confirmation), the devices have to work ALL the time. We will definitely use electronic boarding passes, but will probably still print out a paper copy (instead of two) just in case. Because, if one cannot get pass airport security due to a device issue, it can be a long walk to the back of the line!! !